The German language actually has a word for that sensation when you feel good at witnessing someone else’s misery. So, I’m sure some language, somewhere, has a word for that sensation when an anime (or some such) enchants us early on, and never gets bad, per se, but manages to tread that line between the lingering love and outright disappointment by the end. Whatever that word is, I do not know it, but it would definitely apply here. 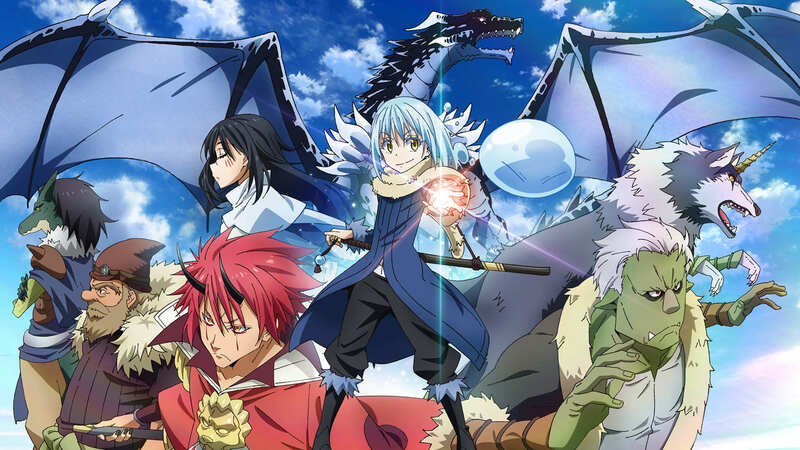 That Time I Got Reincarnated as a Slime follows the titular ball of slime, Rimuru, on his adventures and endeavors in a fantasy world. It begins when he was still a human in Japan, thirty-seven years old and content with what he has in life. However, he shortly finds himself stabbed to death in the street, taking the mortal blow in place of a friend. The exact mechanism of what happens next is never really explained, but he dies and his soul is reincarnated as a humble slime in a mystical cave. He manages to get by, learning about himself and his new capabilities, until he meets an imprisoned dragon with a tsundere personality. Their encounter is brief, but pivotal. 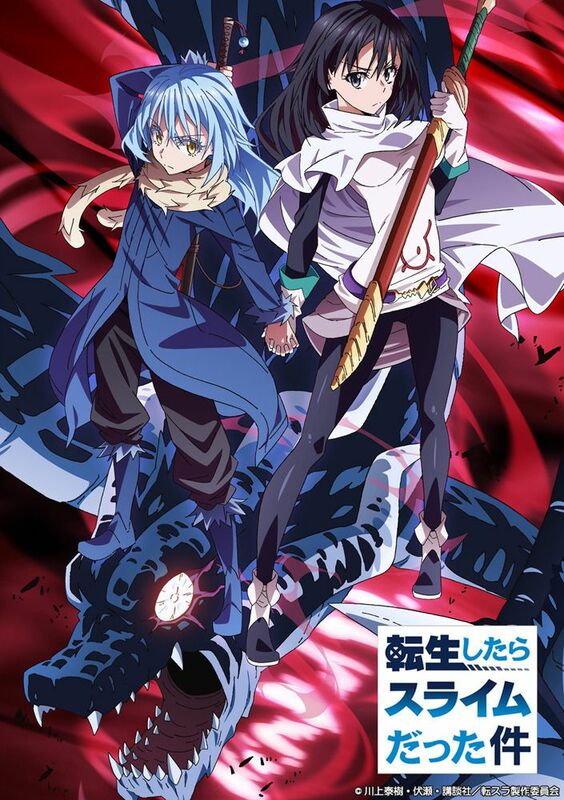 Soon enough, Rimuru, as the dragon names him, manages to leave the cave and embark on an epic saga, wherein he makes many friends, defeats many enemies, comes to lead a powerful nation of diverse monsters, and more. Sounds pretty awesome, doesn’t it? And, at first, in my opinion, it is. The first few episodes set things up, in an engaging, endearing way, and there are many promises made of things to come. But then… it doesn’t really do much. Well, ok, it shows, often in overview, Rimuru’s humanizing influence. He doesn’t hesitate to see everyone he meets as people, regardless of what race they are. That automatic respect encourages dignity within others and they immediately admire him for it. He is intelligent, finds and implements unusual solutions to serious problems, he is strong to the point that he is overpowered in most conflicts, and he is merciful. He genuinely cares about others, as evidenced by how he laid down his life for his friend once already. And he is vastly humble and easy-going, to the point where he is all but oblivious to how others idolize him. It’s easy to see why others would want to follow him. He even manages, more than once, to turn enemies into friends and comrades. It also shows, even more in overview, the effects of Rimuru’s attitude and leadership. People who have been beaten down stand tall again. Many different creatures come together in true harmony. A new nation is formed, a city built, advancements made, and commerce thrives as everyone prospers together. And those nefarious forces which would do them harm are overcome. Quite easily. A bit too easily, in fact. The most overriding problem with the show is how it fails to maintain any tension. Things continue to work out for Rimuru and his followers, to the point that they emerge golden, again and again. Every problem has an obvious, easy solution. 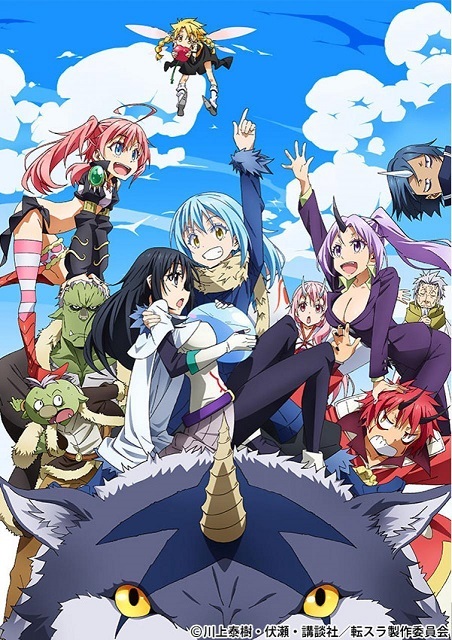 The cast grows huge, and each of the characters has some appeal, but once their bond with Rimuru is formed, they’re relegated to the background with everyone else. The show seems stuck on one single track, one where things can never get too serious, the heroes always win, handily, and once that happens for the umpteenth time, one fails to ever worry again. It gets boring. Amusing, at times, but boring. It may sound a bit counterintuitive, but we need to see bad things happen in our stories. And while we see that bad things have happened to the characters, we generally do not see them during the show. It’s always happened earlier, before Rimuru arrives on the scene. An imprisoned dragon, a massacre of goblin warriors, a tragic malfunction with an alchemical machine, the slaughter of the ogres, the orcs suffering from famine, it all happens before Rimuru arrives. And once he hits the scene, everything works out perfectly. The most impactful episodes of the show, I feel, centered on the brief appearance of a woman, Shizue. We see, albeit in flashback format, how she was taken from our world, made a vessel to a monstrous fire spirit against her will, how she was enslaved and her hands were used to murder her innocent friend and the pet they’d just adopted just because their master was displeased with it. That made me really want to see Rimuru find Shizue’s former master and beat him into the ground. But we never got there. Not even close. Instead we just bounced from one easily-overcome enemy/tragedy to another. Lesson here: storytellers need to kick the chair out from under their characters, and do so frequently. Still, as I said at first, the show never actually gets bad. It merely tapers off and becomes more lackluster as we go along, that’s all. By all technical terms, the show is well-crafted, in animation, character design, voice work (at least in Japanese, I haven’t heard it in English yet), and music. It might not be outstanding, but it’s not bad either. The characters, again, they tend to be enjoyable and charming and sometimes even endearing. It is only unfortunate that they’re sent into the background much more often than not after they’re introduced. Here I thought it ought to be the other way around, where background characters become more important, rather than more central characters becoming less so at every turn. The fights may not be especially impressive, but they’re a bit of fun. The story has, or had, great potential, and it does have all the usual moving pieces. It just keeps those moving pieces firmly on a tread that gets more difficult to take seriously. I don’t want to be harsh with this show. In fact, I hate the idea of being at all unfair towards it. Yet… it is good, in its way, but it could have been so much better, and so much more. This entry was posted in Anime and Cartoons, Tuesday Review and tagged That Time I Got Reincarnated as a Slime. Bookmark the permalink. You are so right. In the try fail cycle of things we need them to fail and then get more problems or even problems if they succeed. A good lesson on plot in this entry! You pretty much nailed it here… It’s wasn’t *bad*, it just could have been so much *more*. If the whole series had kept to the quality of Shizue’s arc, it could have verged on *great*.